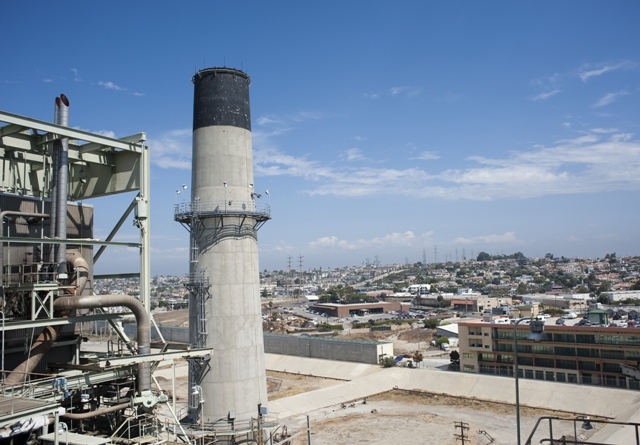 Real estate investor Leo Pustilnikov has been identified as the buyer for at least part of Redondo Beach AES power plant land, and is in exclusive negotiations to purchase the entirety of the 51-acre power plant property. Determining what to build on the property will be a public process, but city officials and the developer said a significant portion of the acreage would be devoted to open space. “I believe that no one in the city wants to see the power plant lie dormant there when it shutters; I don’t think they want to see it as a property blight, or anything of the sort,” Pustilnikov said in an interview. Pustilnikov’s Next Century Power LLC has closed escrow on two AES lots — the SEA Lab and the adjacent parking lot to the south. Both lots are on the ocean side of Harbor Drive, across the street from the power plant. Pustilnikov is currently in discussions to purchase the rest of the AES property. He estimates that agreements for the remaining parcels will be reached in six to nine months. Price and terms of the sale have not been disclosed. Pustilnikov said the SEA Lab will remain in its current home, rent-free, for the time being, and that AES will continue funding its operations. Pustilnikov originally bid on the site two years ago, but became more serious “within the last three to four months,” upon meeting with members of the Redondo Beach community. He signed an exclusive negotiating agreement with AES about four weeks ago. His plans for the site are still being developed. Pustilnikov and his team have met with the City of Redondo Beach and state commissions to study the area’s limitations and to determine necessary remediations. “I want to engage the community when that’s been determined,” he said, indicating that public discussions will likely begin around January. Redondo Beach Mayor Bill Brand, along with members of Redondo Beach’s Power Plant Subcommittee and some residents, met with Pustilnikov on a number of occasions prior to the sale, starting at least two months ago. Brand admitted that he’d spoken to “a lot of developers over the years,” but Pustilnikov’s interest in developing parkland particularly excited him. According to a press release, Brand, Pustilnikov and Redondo Beach staff met with the California State Coastal Conservancy and the California Coastal Commission to discuss the site. In 2015, the Coastal Commission ruled that 5.93 acres of the site are wetlands. The process now, Brand said, will include a study to determine how much wetland will be restored and where they are located on the property. “It’s clear it’s an active wetland, I’ve seen adult Canadian geese with goslings, egrets, great herons, ducks… it’s a thriving natural ecology back there,” Brand said. The 51-acre AES site has been on the market since 2015, when the power generating company suspended plans to build a new plant. The power plant must be decommissioned by 2020 to comply with state laws regarding ocean water-cooled power plants. But Article XXVII of the City Charter requires that major land-use changes within Redondo Beach require a public vote. Commercial development outside of its current P-GP zoning, which allows for parkland and power generating plants, would trigger an election. The likelihood of commercial development at the site was underlined at Brand’s educational forum for the AES site, held in early October, by real estate consultant Larry Kosmont and Chicago-based architect Richard Wilson, who detailed the public-private partnerships that made Chicago’s Millennium Park possible. Pustilnikov, a developer and investor, has a history with adaptive reuse projects. He is a partner in the purchase and redevelopment of the Sears, Roebuck and Co. building in Boyle Heights. He is also a partner in the preservation and repurposing of the Alexandria Hotel in Downtown Los Angeles into affordable housing with ground-level retail, which has earned him honors from Lamp Community, a homelessness-focused non-profit. He has indicated an interest in repurposing the existing AES Redondo administration building and historic plant, with office and restaurant uses, prior to both the development of the rest of the site and a rezoning vote. “I genuinely sensed that he wants to build something iconic,” Light said. Horvath was similarly impressed after a three-and-a-half hour meeting with the developer. The challenge, Pustilnikov acknowledged, will be in navigating the desires of Redondo Beach residents. Article XXVII was passed in the wake of a prior plan to redevelop the AES site. A second attempt at its redevelopment was killed at the ballot box in 2015. “The plan for what the community may or may not support is still being worked on. This will come out with any sort of dialogue with the community, and what they want to see,” Pustilnikov said.